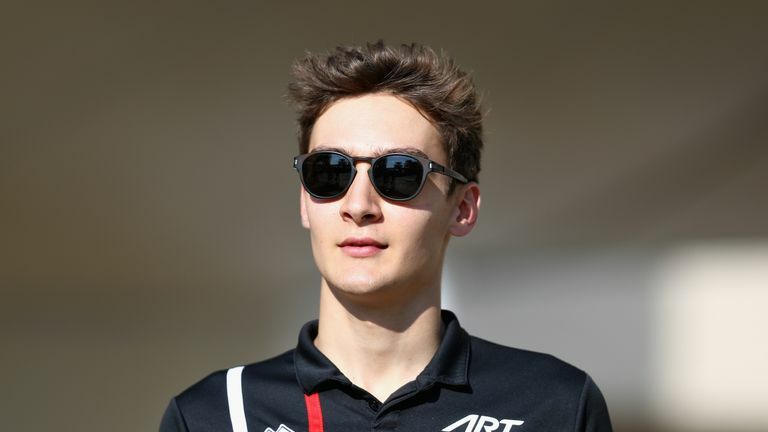 George Russell has issued a bullish warning to his fellow Formula One drivers following his promotion to a race seat with Williams by declaring "this is my time." The 20-year-old was named as one of the team's drivers for the 2019 season earlier this month, handing the former Mercedes junior his first taste of life as a full-time F1 driver. Russell has had a highly successful last two years, winning the GP3 series in 2017 and then the Formula 2 championship this year, and the Englishman believes he is ready for yet another step up. Asked which drivers he fears ahead of his F1 debut, he told Sky News: "No-one to be honest. I feel confident. I've come off the back of two amazing years and I'm ready for the challenge. "Obviously I'm a rookie, I'm not going to go out there and do anything stupid. But I feel like this is my time and I'm ready to do the business. "It's a huge step up, not only in the speed aspect, from Formula 2 to Formula One. There's so much extra coming with it. You're in the eyes of millions of viewers. "I've gone from working with 30 team members in Formula 2 to 750 with Williams. There's much more pressure on the driver's shoulders than just driving the car." As part of Mercedes' junior driver programme, Russell has had the opportunity to learn first hand from the man who has won four of the last five Formula One championships, Lewis Hamilton. Russell revealed he looks up to his fellow British driver as an inspiration, and added: "I've been in a very fortunate position in the last two years, being part of Mercedes and having the opportunity to be in the debriefs and the meetings alongside Lewis. "It's very surreal to be honest. The past couple of years, since joining the Mercedes programme, have been a step-by-step process. It almost felt like a natural step to get this opportunity. "This is everything I've dreamed of."